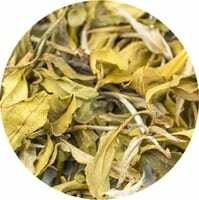 A highly delicate white tea, picked and withered in the early morning during the prime seasons, leading to a complete leaf structure. A pale liquor with subtle floral notes and pronounced aromatic tones. Smooth and sublime on the palate. Suggested brewing time is 3-4 minutes at 90 °C.